Keeping staff safe on a building site is a vitally important job for a project manager, who will need to ensure workers have all the right equipment to carry out their jobs safely. Read our guide to ensuring your staff are protected on site. This website is hosted by GoDaddy, get vouchers for hosting and domain registrations! Among the most important elements of ensuring a construction job is carried out safely and effectively is ensuring workers have the adequate equipment for their tasks. The apparatus used should be checked regularly and in good working order to reduce risk to the workers operating the equipment. 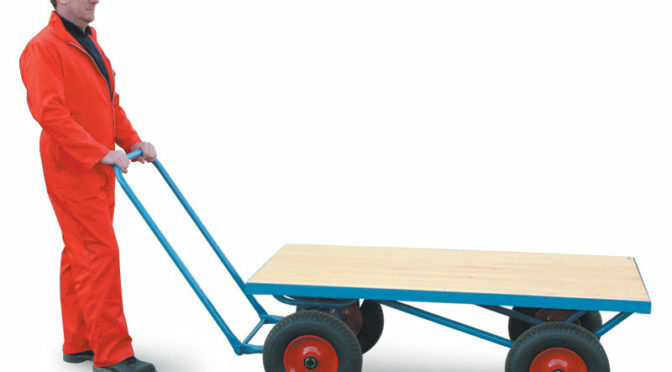 If there are heavy items that need transporting around the site, you should ensure you have turntable platform trucks that are suitable for the objects, and that workers are properly trained to use them. Other mobile items like elevating work platforms, dumper trucks and excavators all have risks attached to them, so you’ll need to ensure you’ve identified and addressed any potential problems before allowing staff to begin work. The personal safety of each worker is paramount, so you’ll need to make sure your staff at the construction site are prepared for their jobs, trained to use equipment or to work in various scenarios that may present themselves, and are also wearing protective garments. Hard hats or other suitable headgear should be in good condition and you need to make sure that wearing this protective equipment is among your site rules, although exemptions can be made for some religious groups. In terms of clothing, you’ll need to establish a policy on what can and cannot be worn on site. Clothing will need to guard against hazards and some trades in particular will need to be covered for safety reasons, such as welders whose skin would otherwise be exposed to UV light. Protective footwear should be worn and you might also want to establish a policy on high visibility clothing requirements if necessary. In order to meet the Construction Regulations 2007, you’ll be required to manage the occupational health of workers on your site. This means you’ll need to provide health checks for your staff, along with first aid provisions and information about health, welfare and fitness. You’ll also be expected to reduce risks to the health of your staff in terms of problems that could arise like back pain, skin problems and stress. Additionally, you’ll need to have policies in place for managing staff absence and returns to work – you can speak to trade union representatives as well as employees for thier input when you devise these documents. Another consideration when making the construction site safe is how the area is organised. This entails things like making sure the public are protected and cannot access the site, storing materials safely to guard against hazards, disposing of waste in the right way and providing toilet facilities, rest areas and lockers for your staff. Traffic management will need to be planned to ensure that vehicles do not become hazards to workers or visitors to the site, and you’ll also be required to manage your paperwork to ensure the site meets legal and safety requirements. You can check useful resources like the Health and Safety Executive’s website for further advice on ensuring the construction site is a safe place to work for everyone.